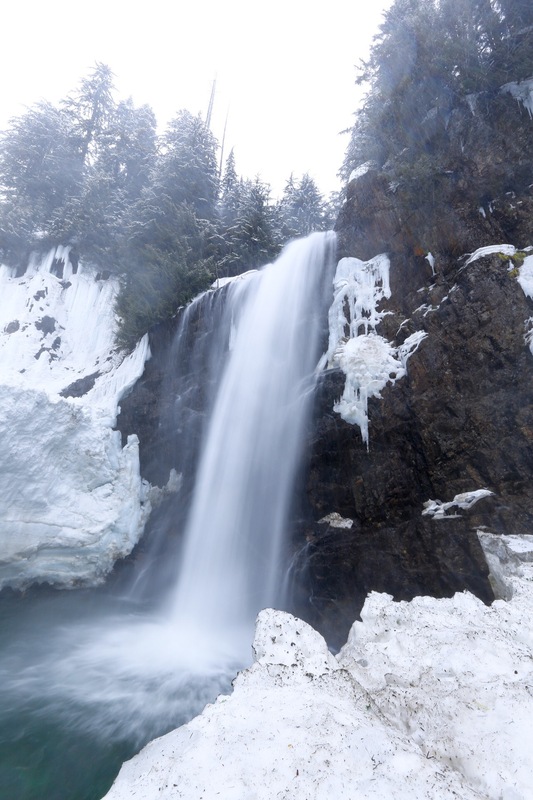 Franklin Falls is one of the most popular winter trails in Washington State, that I’ve tried to visit… numerous times. 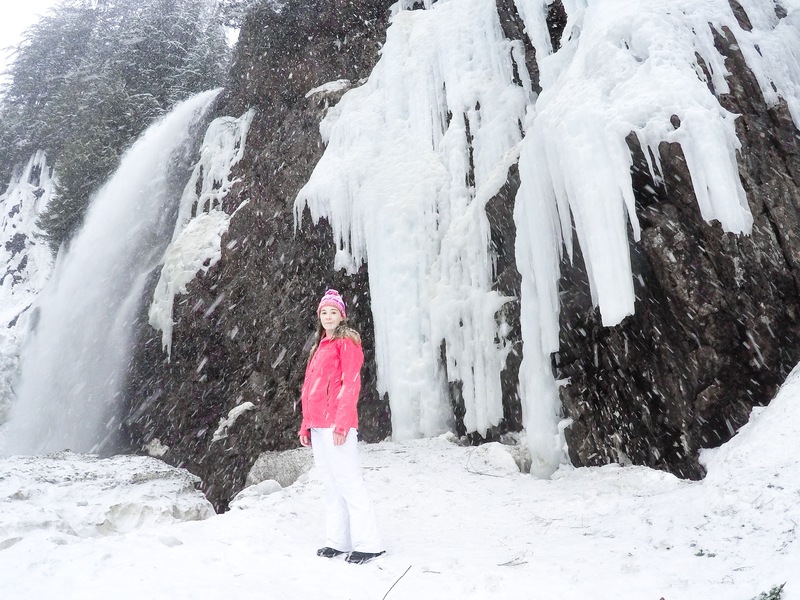 So, how is it possible to find winter solitude at Franklin Falls? Waking up at 4am, that’s how! I read some reviews for Franklin Falls recently, which stated that there were “only” 3-4 cars parked at 8am and only got more crowded from that point forward. Most of the hikes in PNW start to get crowded around 10am, but apparently people continued to start showing up earlier and earlier to Franklin Falls. So, that is what I did, I woke up earlier than anyone else would be willing to, because 3-4 cars, means at least 10 people… that is at least 10 people that I would have to ask nicely to move out of the way, so I could photograph the falls. As many photographers and amateur photographers will tell you, sometimes getting the best shot, means suffering a little bit more than average hiker. So, I arrived at Franklin Falls with my headlamp, before the sun came up and Franklin Falls was all mine… for 45 minutes! It was glorious! 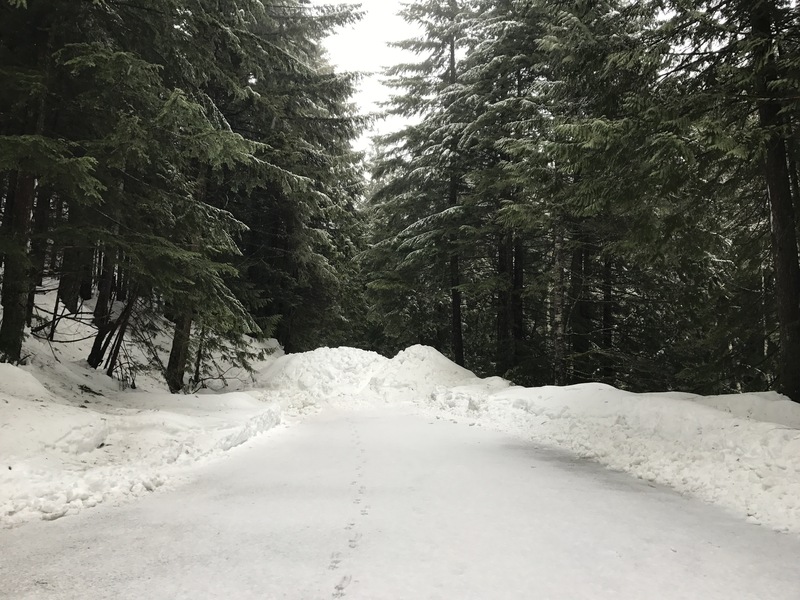 Unfortunately, in the winter, the road to the Franklin Falls Trail head, is blocked off due to winter weather conditions, adding an additional 2.3 miles (4.6 miles round trip) to the hike. The first 2 miles, is on a paved road, and is kept plowed. 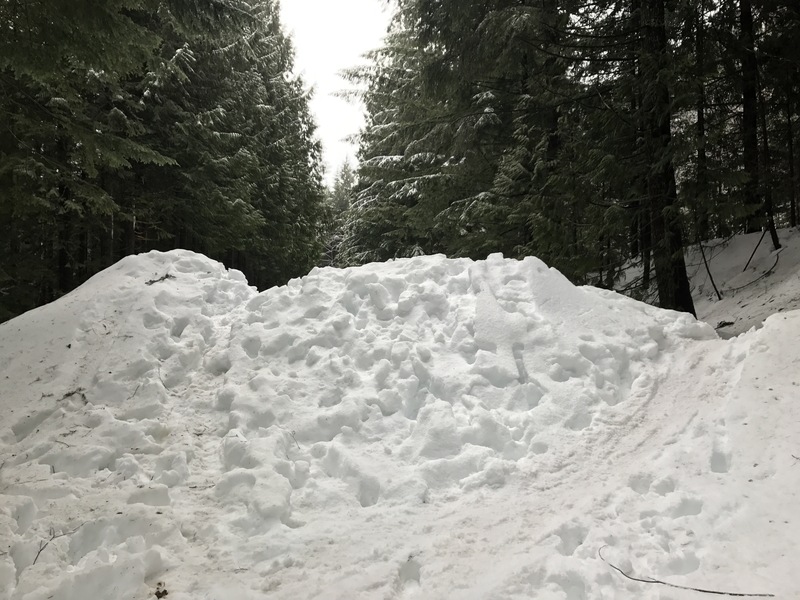 As to why they don’t plow the additional 0.3 miles and open the road to the trail head, is beyond me. However, after walking 2 miles, the path becomes covered in several feet of snow. I only used micro spikes and trekking poles. Snow shoes would have been obnoxiously unnecessary, not to mention I am not a huge fan of snowshoes. I would advise caution around the falls, as the weather continues to warm. It would become very dangerous as chunks of the packed snow starts to fall in the river. After spending about 45 minutes at the falls and the majority of my gear and self, wet, I decided to pack up and head back. On my way back, I ran into 29 people headed to the falls. Not to mention, at least 20 more hikers were headed to Franklin Falls, from the parking “area”. I suggest, if you want a little solitude at Franklin Falls, you better set your alarm! Definitely worth the lack of sleep!! Loved reading this! I’ve heard about the crush up at the falls and really didn’t want to bother, but I’m glad to hear that one can find a few moments of solitude up there. Your photos are fabulous, and I’m impressed with your resolve to get up and get going! ← PCT Prep – Stoveless, Tentless, Ultralight… No Thank You.